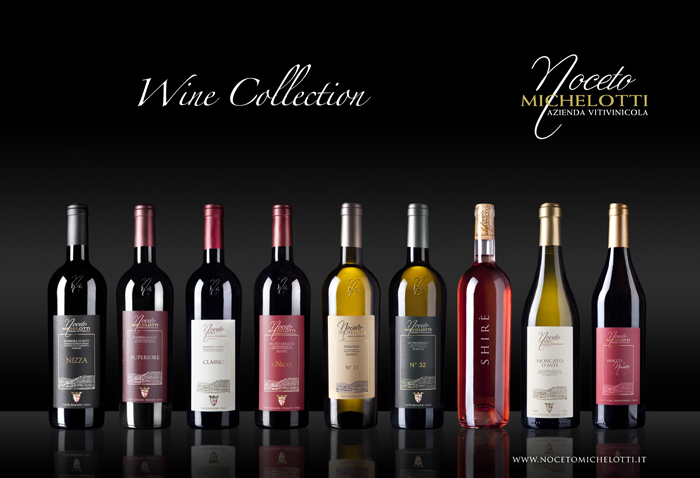 Situated in the beautiful rolling hills of Monferrato in Piedmont, Italy, Noceto Michelotti is a small winery handcrafting wines of distinction. Our estate is in the unique position of having integrated vineyards, an ultramodern cellar with temperature controlled ageing facilities and the latest bottling and labelling equipment. Our oenologists are able to perfectly calibrate the complete wine making process, from stem to bottle to ensure that we produce award-winning, single estate wines. 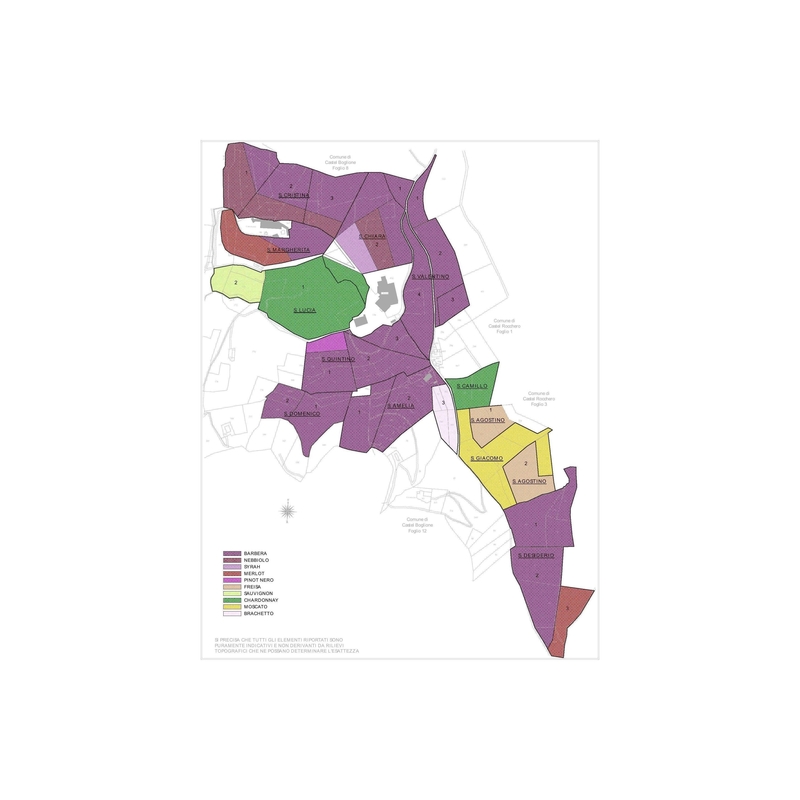 Fine wines start with the “terroir” and the vineyards of Noceto Michelotti, which are predominantly south and west facing, with yellow sandy limestone, lime and clay, produce the perfect environment to create robust red and fragrant white wines. Our yield per hectare is carefully controlled through green harvesting early in the season to ensure only the very best grapes are allowed to mature. During the harvest in September and October, we divide our vineyards into “energy zones” and following daily analysis of the maturing grapes, we harvest by hand in small baskets at the optimal maturity point for each zone. Our unique location ensures that all grapes are in the winery within 3 hours of harvesting where they are hand selected, washed, de-stemmed and soft crushed. The constant re-cycling of the fermenting wines allows for the maximum extraction of colour, aroma and flavour. Secondary malolactic fermentation is undertaken either in stainless steel or French oak vats according to the structure and style selected by our oenologist and wine maker for the vintage. Following the ageing process and final selection, we bottle our wine on the estate using the latest methods of bottle sterilisation. We age all our wines in the bottle to ensure perfect harmony . 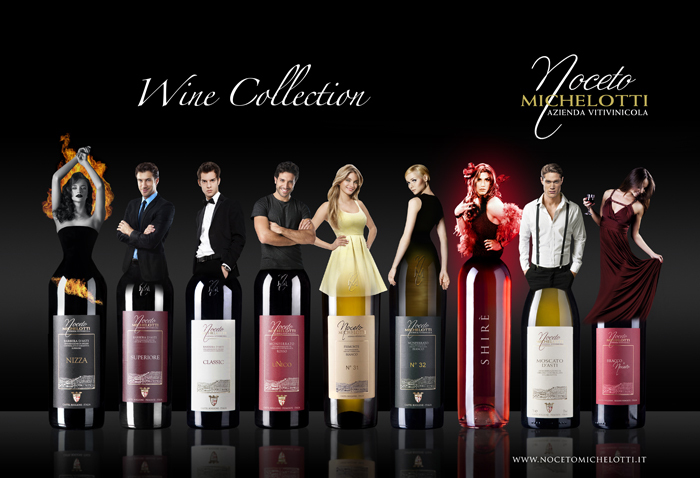 Our 30 hectares vineyards and ten different types of grapes – Barbera, Merlot, Syrah, Freisa, Nebbiolo, Pinot Nero, Brachetto, Moscato, Sauvignon Blanc and Chardonnay – enable our oenologists and members of the Noceto Michelotti Society to conceive unique combinations of award-winning wines. World-famous oenologists like Giuseppe Caviola, who created Noceto Michelotti’s first wines, and Federico Curtaz who shares its experience and helps shaping wines that will fully connote each member’s taste and vision.